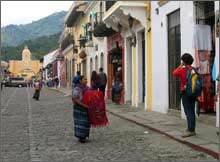 Guatemala, the land of eternal spring, is an enchanting and magical country. The landscape is incredibly diverse and breathtakingly beautiful. Guatemala's highlands are blanketed in tropical rain forest, pine forests, and cloud forests with lakes scattered among the forest covered volcanoes. Guatemala is home to 33 active and inactive volcanoes, a dazzling array of plant and animal life, and a vibrant indigenous culture. The people of the highlands are predominantly Mayan and practice traditions that have been passed down for thousands of years. Ancient Mayan ruins are scattered throughout the country, reminders of Guatemala's legendary and mysterious past. 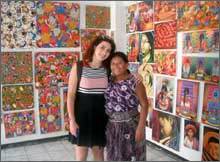 ELI works with community organizations throughout Guatemala to create opportunities for volunteers and interns to live within a Guatemalan community and experience the family and community oriented culture which has shaped modern Guatemala. 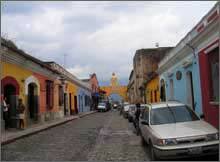 Each placement starts with intensive Spanish classes either in colonial Antigua or a small town outside the city. Participants in these programs will experience the warmth and hospitality of Guatemalans, the cultural richness, and the contrast in development in Guatemala. The Guatemalan government sponsors the hogares comunitarios project aimed at helping the children from very poor neighborhoods by providing day care and meals. The day care centers are in the homes of women throughout the country. Each project has an average of 12 children from infants to six years old. The children are either from single parent households or households affected by alcohol or drug abuse. The children are provided with breakfast, lunch, and snacks each day along with educational activities and a safe place to spend the day. Volunteers with this program will help with meals, play with the children and are welcome to introduce early development activities such as simple English, basic math and more. Participants for this placement must be able to speak Spanish at an intermediate level and commit to at least 4 weeks. ELI works with primary and secondary schools throughout the highlands region. Participants can help with teaching English or computer basics. Volunteers can either assist or take the lead with classes, and extra-curricular activities. Importantly, international volunteers provide the students with the unique experience of getting to know a foreigner and serve as mentors and role models to the students. Volunteers teaching English should have an intermediate level of Spanish. In some schools you will act as assistant to the teacher and once your confidence and ability have grown, you may be allowed to take classes on your own. In many of these schools, however, you will immediately begin as the primary instructor for a class. Aside from working with the students, participants may be asked to help train teachers and staff so that they can properly instruct students in the future. Participants in this program will help create, teach and evaluate a variety of life skills classes aimed at high school students. 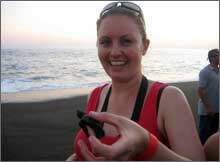 Participants can be involved with subject matter that he/she feels most comfortable with, and wants to teach. In most situations, participants will be working with limited resources, and overworked & underfunded organizations. Participants need to be flexible, creative and resourceful. A good sense of humor can also come in handy. 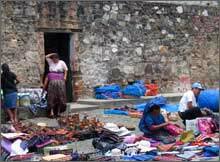 ELI works with a variety of microfinance institutions (MFIs) that provide micro credits, training and business advice at a community level in Guatemala and have changed the lives of many small scale entrepreneurs. Interns work with Savings and Credit Cooperatives in Sololá and Quetzaltenango helping educate and train small businesses to identify, prioritize, program, execute, and evaluate development projects. Additionally, participants focus on increasing income, improving the environment for businesses, and helping businesses find new markets to work with. Experience within the fields of accounting, business administration, marketing, or finance is very helpful. Work with government Health Posts that provide curative and preventative medicine. There are approximately 800 government & military sponsored health posts throughout the country. Participants will travel with a team of medical professionals to different posts in the Highlands region. Participants will not only help with patient visits, but will also engage in education outreach programs, teaching the community about healthy living. Volunteers with these programs can work on a variety of issues including: education, promotion, prevention and treatment. 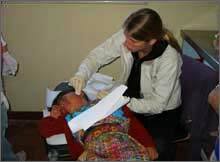 Participants will assist staff both in and out of the clinic. 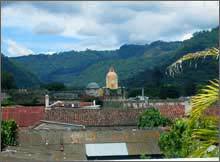 Tasks are assigned by the local staff based on what they feel is appropriate given a volunteer's background.This is a great opportunity for doctors, nurses, PAs, and medical students to learn about Guatemala health system while also giving back to the community in a very appreciated way. Participants with an appropriate background in psychology can assist the staff in administering psychological tests to mentally handicapped children, work to create proper treatment strategies, and help provide counseling and support to the children and their families. Participants in physical therapy school can shadow and assist the two trained physiotherapists who work in the clinic. Tasks vary greatly depending on the intern’s skill level, language abilities, and the needs of the physiotherapists and the patients. ELI works with a variety of programs to help address the country’s agricultural and environmental challenges. ELI’s programs strive to assist poor communities in rural regions throughout the country through education and vocational training. 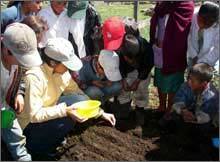 In both aspects we work with local groups who teach responsible practices and sustainability. 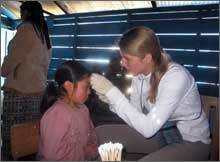 Volunteers may help at large education centers, or work with small local eco-communities. Locals receive education and assistance to improve their personal lives as well as better their communities. Educational centers train local farmers to improve their techniques, produce, and market their product. While the emphasis is on agriculture, these programs realize that the well-being of the farmers is just as important, and many institutions offer classes on basic hygiene, health, and literacy. **Wildlife program require an addtional US$120 for every 2 weeks. 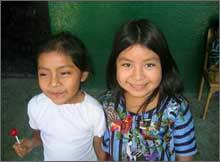 Volunteers in Guatemala stay with local host families. ELI truly believes that this is the best way to fully immerse in another culture and get the most from an international experience. All families are carefully screened and are well-respected members of the community. Participants will have either a private or shared bedroom with secure storage (volunteer must provide own padlock). Bathrooms are shared with the host family. Volunteers will be provided with breakfast and dinner daily. Participants should arrive in Guatemala City on the following dates.